Marks & Spencer is to launch an online grocery shopping service this autumn as it looks to cash in on the success of its food halls. The retailer confirmed that a team of executives was currently drawing up a battle plan ahead of trials this autumn, allowing M&S customers to order food online and have it delivered to their home. 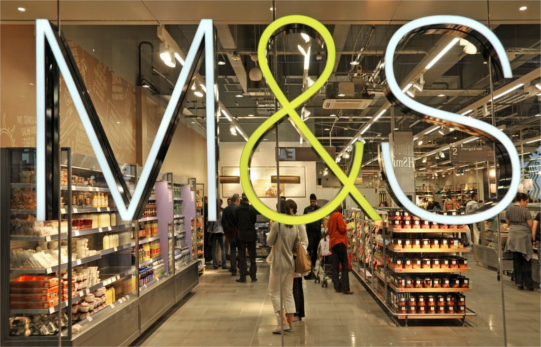 While Britons may have fallen out of love with the M&S clothing ranges in recent years they have been heading in droves to its food aisles as they opt to pick up food for an evening meal rather than do a big weekly shop. Until now selling food online has not made business sense for M&S as its customers do not typically spend enough on groceries on each visit to make the service profitable. But the retailer has concluded it can no longer ignore what is the fastest growing section of the UK’s £180bn grocery market as new delivery services, such as AmazonFresh, which allows shoppers to order groceries at lunchtime and get the delivery in time for dinner, revolutionise the way Britain buys food. Senior executives were informed of the plan at a meeting at Wembley, north-west London, on Wednesday. M&S already sells a limited selection of party food and alcohol on its website but this would be the first time its wider grocery offer would be made available online. The high-street store is different from other food retailers as it stocks just 7,000 products compared with 40,000 at most Tesco shops. It also focuses on exclusive own-brand products with only a limited number of household brands available in its stores. It is not clear how the retailer would overcome these hurdles if it were to offer customers a full grocery outlet. “The economics of food online are not straightforward and it is not something that we are going to rush into until we have substantial customer insight and a better understanding of what is right for M&S and right for our customers,” Rowe added. Rowe, who began his retail career aged 15 as a Saturday boy at the M&S Croydon store in south London, and took over as chief executive last April, is seeking to revive the declining profits of the 132-year-old retailer. His biggest job is turning around its clothing arm which under his predecessor, Marc Bolland, relied on heavy discounting to attract shoppers. Rowe is also keen to exploit the success of its food arm. Last year Rowe announced plans to shut 30 UK stores and convert 45 more into food-only shops as part of a business overhaul that would slash the amount of shopfloor space devoted to clothing and face the challenge posed by online shopping. M&S confirmed the location of six of the affected stores, which included four large “full-line” stores – which sell clothing, homeware and food. They are in Portsmouth, Hampshire, in Slough, Berkshire, Warrington in Cheshire, and Wokingham, Surrey. The retailer also unveiled plans to open another 34 food shops in the next six months.